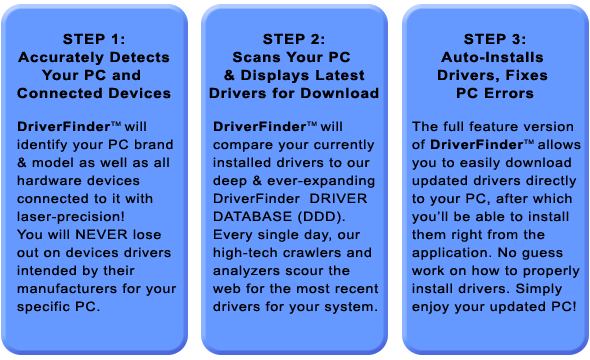 DriverFinderPro.com is the official website of Driver Finder, a driver update software utility created by DeskToolsSoft for Windows 2000, XP, Vista, Windows 7, Windows 8, and Windows 10 users (32- and 64-bit systems). Driver Finder is a premium service that simplifies the identification, matching, downloading, and installation of drivers for Windows-based PC users. The software and its backbone, the constantly-updated driver database, has been developed from the ground up for nearly two years by a group of IT professionals with a combined experience of over 60 years in the industry. Quick Look at our User Interface: Driver Finder screenshots. Compatibility: DriverFinder passes Windows 7 compatibility for 32- and 64-bit systems. Latest Drivers: Click here to access our 24/7 driver feed. 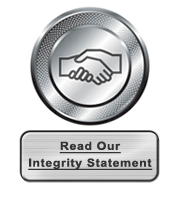 Click here to access our FAQ. Click here to access our 24/7 Customer Support portal.